free tool to download and manage all your cragl tools. connect is a free tool that lets you manage all of your cragl tools. 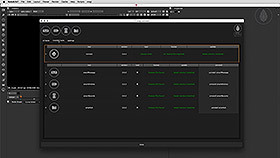 You can browse all available tools directly inside NUKE, get additional information and purchase the tools. Try before you buy. You can install all cragl tools as a trial directly inside connect. Just hit the trial button. Connect will download and install your trial version fully automatically for you. You will get a time limited fully featured product without any restrictions. You use connect to install all of your purchased cragl tools. Installing them can't be simpler – Just enter your coupon code that was sent to you by email when you purchased one of our products. The purchased tool will be downloaded and installed automatically for you. connect shows you automatically when there are a tool updates available. 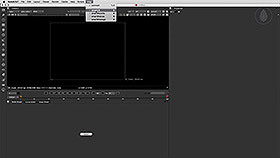 You can then update your tools directly inside NUKE. Do you have any question about connect? make sure to read our tools specific faq for connect. 1) Please switch to the overview tab and click the download button. 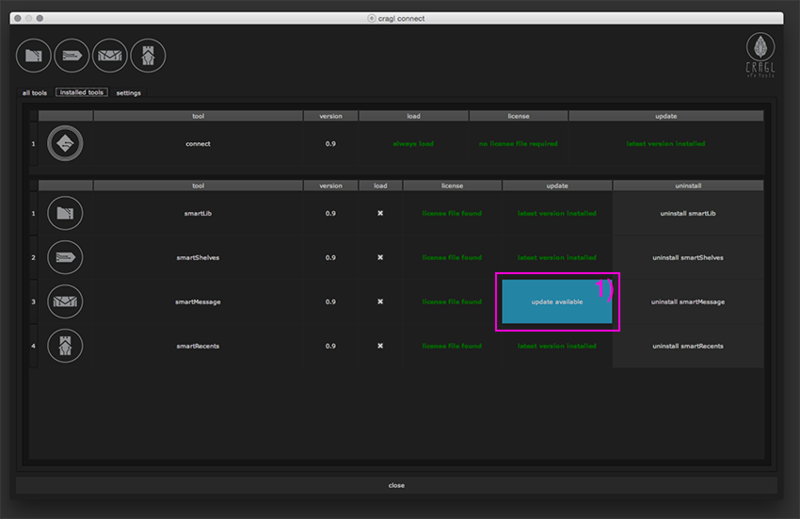 2) After the download has finished unpack the zip file and put the cragl folder into your NUKE home directory. 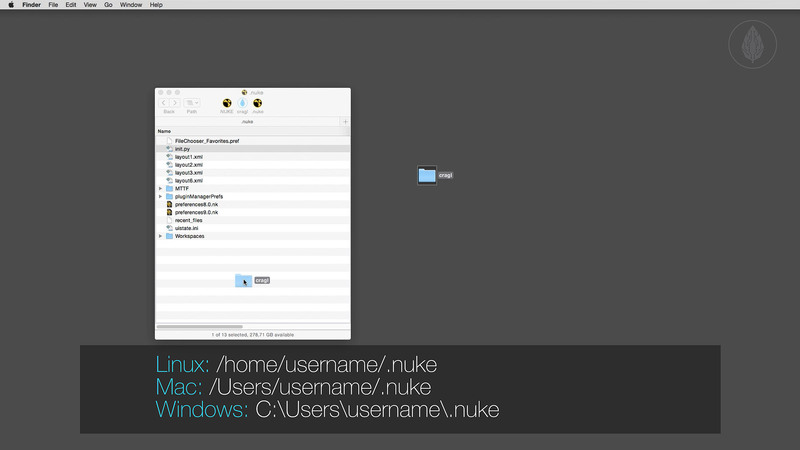 3) Inside your NUKE home directory open your init.py file. If there is no init.py file then create a blank text file and save if as init.py. After the installation is finished NUKE's menubar will now contain the cragl menu. 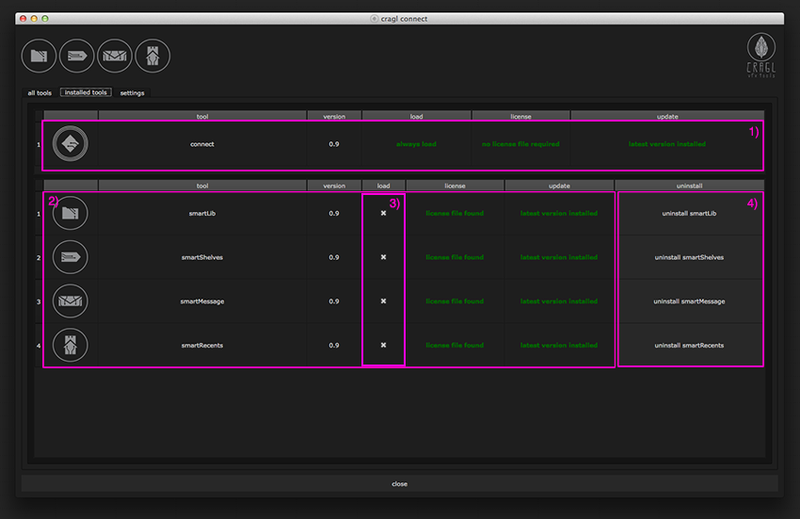 Each cragl tool will show up in here so you can always access them directly from here. To open the cragl connect window just click on "connect". The shortcut is holding Alt or Option and then pressing the "A" key. connect is split into three tabs - "all tools", "installed tools" and "settings". The first tab "all tools" shows you all available cragl tools. 1) At the top left you see all cragl tools that you have currently installed on your machine. 2) By clicking the cragl icon at the top right your web browser directs you to our cragl website. 3) On the left you see a small overview of each tool. 4) You can search the tools list by name. 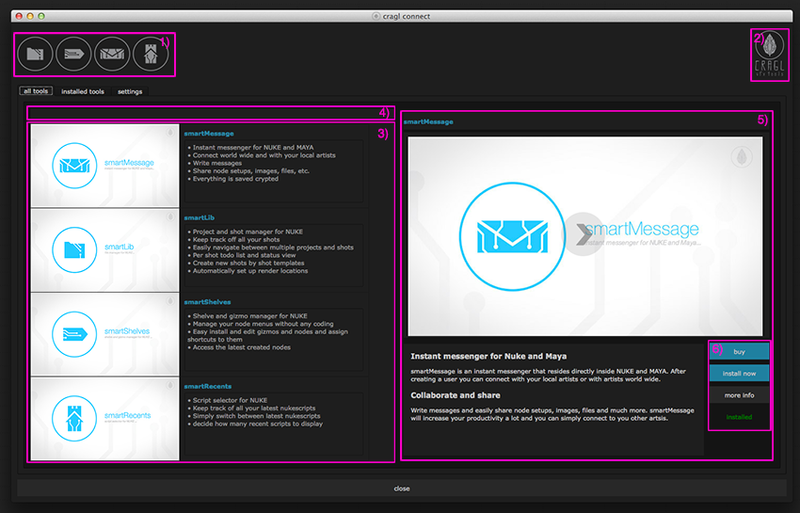 If you like to have more information on a specific tool just drag and drop it to the right. 5) On the right you find more detailed information including a brief overview video of the current tool. 6) On the bottom right you'll find some buttons. more info: Click on "more info" and this opens your web browser and directs you to the tools wep page where you can get additional information. buy: Besides you also have the option to buy the tool. Click the "buy" button. This opens your web browser and directs you to the web page where you can purchase it. install now: After purchasing you'll receive a mail including an instal code. 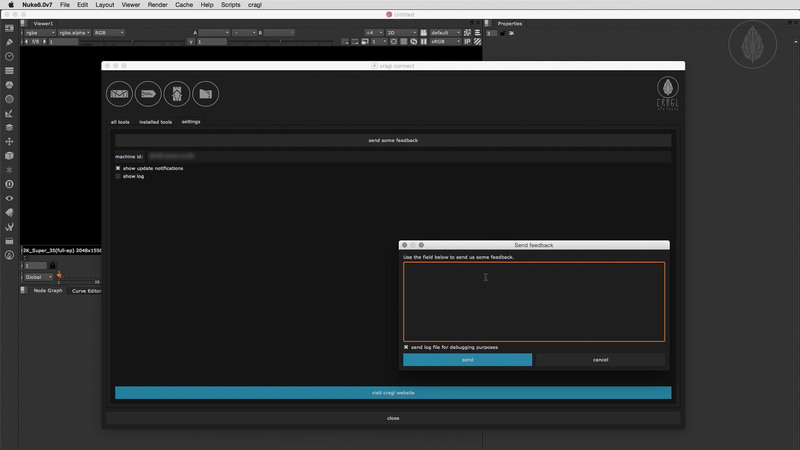 Now, simply click on click on "install" and enter that instal code. The tool will be downloaded and installed automatically for you. The second tab "installed tools" helps you managing your installed cragl tools. 1) The top table shows you information about your current connect version. In the update column you can update connect directly inside the connect window. Connect informs you automatically when there is an update available. 2) The bottom table shows you all installed cragl tools. 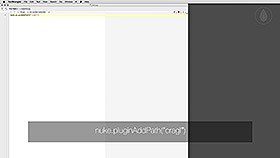 3) If you don't want to load a cragl tool for the time being you can decide to exclude it from loading when you launch NUKE. Just uncheck the "load" option of a specific tool. When you close connect you'll be asked to restart NUKE so that the changes apply. The next time you launch NUKE the tool won't be loaded anymore. To restore it just hit the according "load" checkbox again. 4) To uninstall a cragl tool click the according "uninstall" button in the uninstall column. The third tab shows you some additional settings. 1) Click this button to open the window shown in 2.3.1) Send feedback. 2) Here you see your machine id. Every cragl tool is node locked to your machine. But you can transfer your license to another machine. For further information see 4) License Transfer. 3) You can also show or hide update notifications. 4) Use this checkbox to toggle show the cragl log file. All tools send some log information on various actions. You can always see you cragl log in here to get more information about what is going on under the hood. By clicking the "send some feedback" button at the top of the settings tab a window shows up. Here you can send us some feedback on the tools. 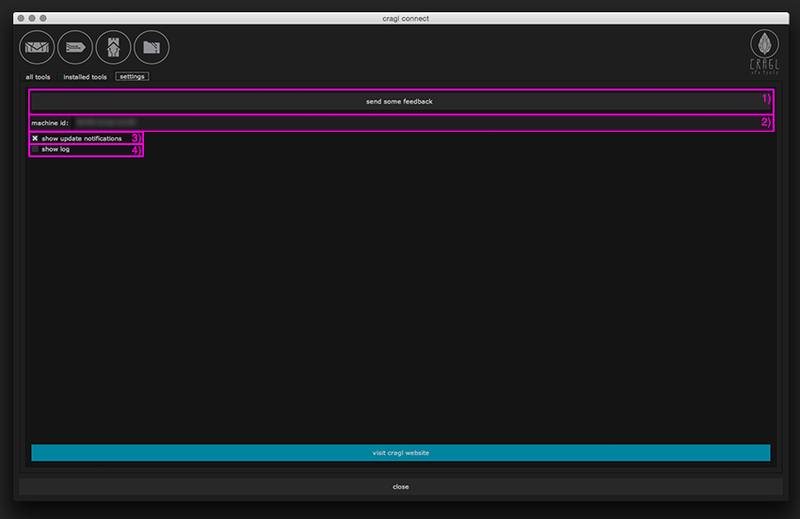 Below the text area you will find the checkbox "send log file for debugging purposes". By default this checkbox is checked. When clicking on "send" your cragl log file will be send to the cragl server. Please keep this checkbox checked as we can then use it for debugging purposes to improve our tools. Connect will inform you about tool updates using a small notification at the bottom right of your screen To disable the notification open the connect settings, switch to the "settings" tab and uncheck the "show update notifications" checkbox. To update the tool click the notification. It will show connect displaying the second tab "installed tools." In here you will find an update button for the specific tool. Just click it and the tool will be updated to the latest version directly inside connect. Every cragl tool is node locked to your machine. But you can always transfer your tools licenses to another machine. To do so, first you need to uninstall it on your current machine. To uninstall the tool open connect and switch to the second tab "installed tools". Select the tool that you like to uninstall on your machine and hit the according "uninstall" button. 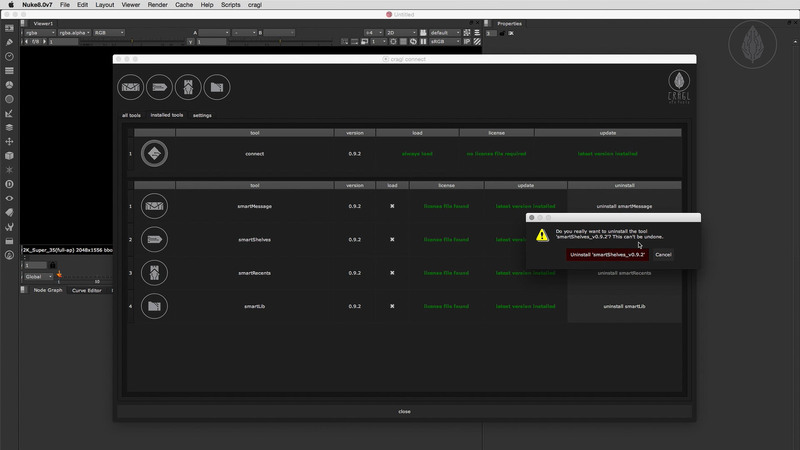 After the uninstall is finished you can then use your received instal code on another machine. Here you will find some frequently asked questions on cragl. Please make sure to read them first. Please also have a look on the documentation. If you have any question that is not listed in here please don't hesitate to contact us. We are pleased to help you. How do I install the connect tool? • click on the download button. 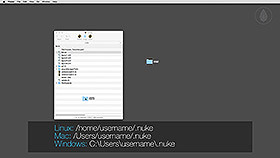 • Unpack the zip file and put the connect folder into your nuke home directory. 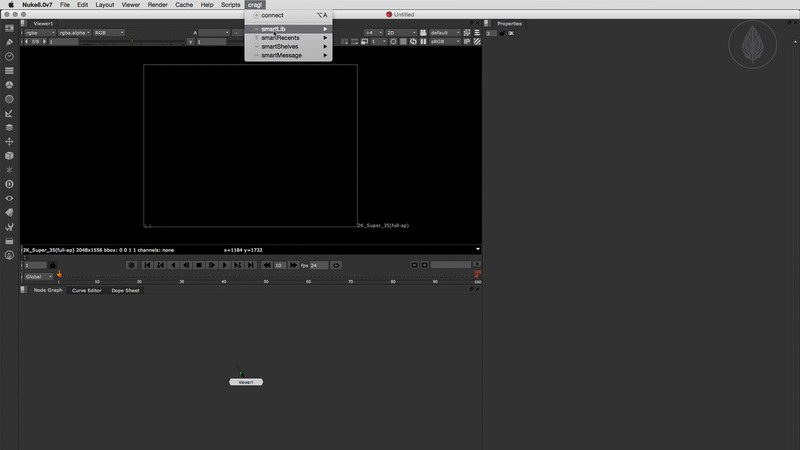 Is connect only available for NUKE? Yes. Connect is only available for NUKE. Do I need to use connect to install a cragl tool? 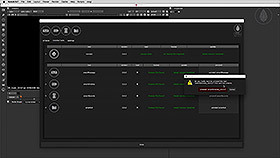 It is recommended to use connect to install a cragl product for NUKE. However you can also manually install any cragl tool without the help of connect. Be aware that this will actually take a bit more effort. To install a tool manually please refer to our faq and search for "Can I use any cragl product without the need to download it through connect?". 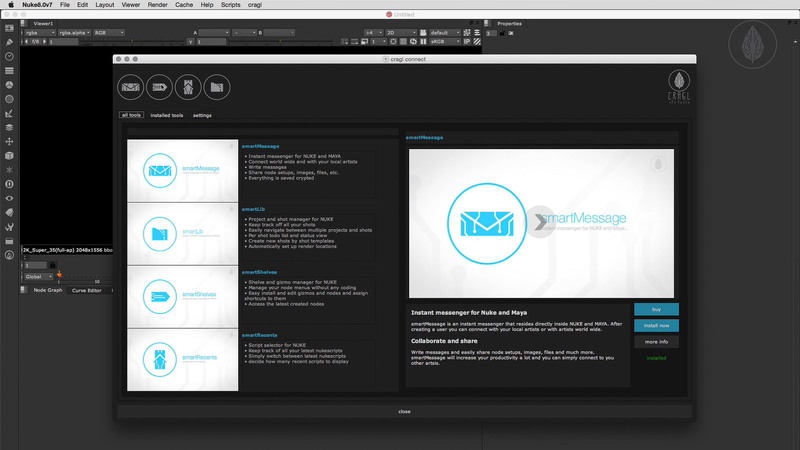 I'd like to install smartMessage for Maya. How do I install it without connect? Where do I find my nuke home directory? Instead of the nuke home directory can I put the connect tool somewhere else on my hard drive? 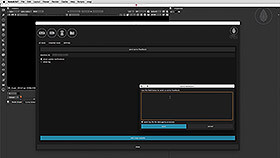 The simplest way is just to drop connect into your nuke home directory but if you need to you can put it somewhere else on your hard drive. So, sure, you can. Just make sure to set the correct plugin path in your init.py. How can I unload a cragl tool? Either: Launch NUKE, open connect, switch to the 'installed tool' tab and uncheck the 'load' checkbox of the specific tool that you want to unload. Alternatively: Go to your '_cragl_tools' directory inside your 'cragl' directory. Find the tool that you like to unload and put an underscore at the beginning of the tool's directory. So for example "smartLib_vX.X" will be renamed to "_smartLib_vX.X". Tools that start with an underscore won't be loaded. Here you will find an overview of the connect's versions and its improvements. Please log in to download versions.